Running a successful pest control business isn’t all about knowing the best techniques to get rid of bugs and rats. It isn’t even about having the best tools and equipment. Of course, you need the right tools and you should as much as possible try to keep up with all the needed techniques that will make your work easier and more effective. But in the long run, it’s a business and every business needs to be run right in order to make profits. To do so successfully, every little part of the day to day needs to be streamlined and automated so you can focus on your actual business; pest control. 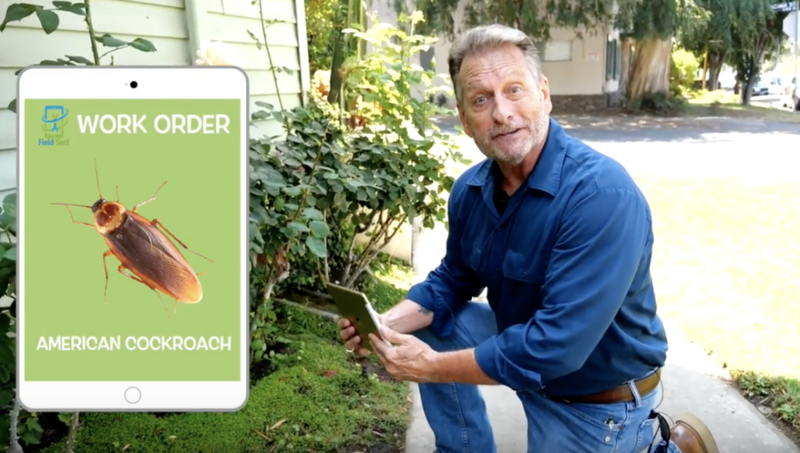 In essence, you can be good with pest control and your customers recognize that and prefer you to take care of their vermin problems and yet, still be in the red. Especially if you do not have the right tools for running the business and we are not talking pest control equipment here. You need a state of the art tool, such as a field service management software, to help you in the daily running of the business aspect of your company so that you are more effective, can save time and easily focus on delivering quality service to your clients. Smart pest control companies are already turning to pest control software as an innovative solution for running their business. You can join the bandwagon too and start leveraging software to make running your business easier. To begin, you need to choose the right software for the job. As a handyman you know not every tool is the right tool and it’s the same with software. Not every software that promises to make your pest control business easy actually does or can do so quite effectively. What you need to look out for in picking the best pest control software is finding that software that effectively automates every aspect of your business. A software that has an incredible field service management software system that automates the process of scheduling and dispatch to everywhere your pest control services are needed, that helps you manage inventory and automates your business accounting and reporting making it available and accessible on the go. Thus helping you run your business with just a simple click of the mouse. To decide which pest control software is best for your business there are some basic features you should look out for in the software. but rather than waste time searching for a software that can answer all questions concerning your business seamlessly, you can simply try out FieldSurf and you will find all that you need in a perfect pest control software for your business all in one place. FieldSurf is an all in one cloud-based business management tool that makes the process of controlling and managing every aspect of your business management completely easy. Here are some features of a pest control software that is perfect for your business that you will find on FieldSurf. FieldSurf makes it easy to manage the process of scheduling and dispatching in your business. It helps you to manage incoming new calls for your services as well as managing regularly scheduled pest control calls for your services. FieldSurf schedules two different calendars, one for an instant request for your services and the other for managing regularly scheduled calls for routine services. Keeping separate calendars helps eliminates the problem of double booking your technicians. Without an automated system like this, it is easy to mistakenly book one of your exterminators for another job at the same time when a scheduled job is meant to take place. But with FieldSurf, the probability of that happening is completely eliminated. Hence making the flow of work easy. FieldSurf also makes handling dispatching very easy as it makes it easy to locate your staff while they are in the field, know which of them are available at the moment a new order comes in, and assign them appropriately to the location where their services are required using the Geo-Fencing features which helps you know where all your field technicians are at every point in time using GPS location. With FieldSurf, you get unlimited control and access to the accounting and reporting aspect of your business. It allows you to know which job has been completed and the orders which you are yet to answer. You also have access to sales and accounts information and every other information that concerns finances in your business faster than have ever. No more waiting for ages on your account department to prepare a financial report. You also don’t have to ever worry about preparing a bill for your customers or preparing the payroll for your employees. FieldSurf takes care of all that too. It all an accurate and automated process which makes things more effective and gives you absolute control and oversight over your business. Have you been looking for a software that helps you manage your inventory, knowing how much of your pesticides and insecticides you have available in stock at every given time? Then look no further. FieldSurf gives you real-time inventory reporting, allowing you know how much of the items you have in stock that has been sold or used daily and also notifies you whenever any of your items are running low in stock. With FieldSurf you know where your business stands at any moment, which is a good thing because in the midst of trying to give your clients the best and manage your business at the same time easy to let things slip by and forget anything which can be fatal to your business. With a software like FieldSurf which automates everything, business flows faster and better and things are a lot easier. FieldSurf is intuitive and easy to use, optimized for all your staff members to understand and use quite easily. What else do you need a pest control software to do? Its every single part of your business right at your fingertips.